When faith gets pitted against the Constitution, one is bound to ask that if such a situation has aroused by choice or chance. 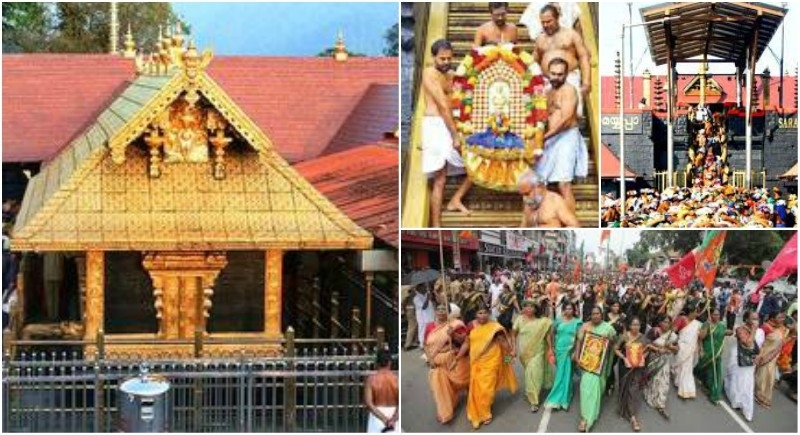 The Sabarimala Temple in the state of Kerala has been at the eye of the storm that has torn the social fabric of the state. The recent Supreme Court judgement has changed the long-standing tradition of allowing only women below 10 and above 50 years to visit the shrine in the dense forests, at the Periyar Tiger Reserve. When the review petitions on the Sabarimala judgement will be heard on the January 22, legal arguments will weigh over the endurance and prayers of the devotees. One can only hope that the judiciary will refrain from expecting secular arguments while defending a matter of faith. This tradition, perceived as obscurantist and gender biased, based on the Public Interest Litigation (PIL) filed in the Supreme Court in the year 2006 by Young Lawyers Association, was headed by Naushad Ahmad Khan. The Supreme Court had designed an Essential Religious Practices test way back in 1954 in the Shri Shirur Mutt case which stated that any matter related to faith will be ascertained with reference to the tenets and doctrines of the faith itself. So, any practice or ritual fundamental to the faith cannot be interfered by the judiciary. But every time Article 25 which gives us the fundamental right to practice religion is invoked in a petition, the court uses its discretion to interpret it on its own merits. In 2015, the Supreme Court dismissed a PIL which asked to ban the practice of animal sacrifice during religious festivals permitted under section 28 of the Prevention of Cruelty to Animals Act. The court replied that judiciary has to maintain a balance and harmony between all faiths and it cannot close eyes to centuries old tradition followed by people. A recent PIL asking for women entry in mosque to pray was rejected by the Kerala High Court on the ground that the petitioner, Swami Sai Nath was not a person who was concerned with the practices of Islam and does not have satisfactory credentials as a person who has a history of espousing such cases before the court. Article 32 of our constitution also cites that a PIL when filed related to religious matters must have devotees as co-petitioners. 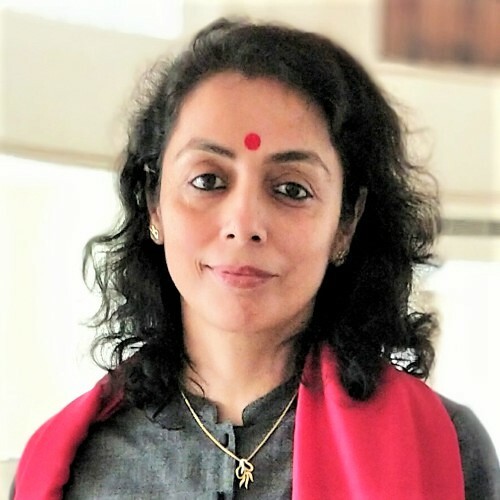 This was cited by judge Indu Malhotra, the lone dissenting judge in the bench on Sabarimala that the petitioners are not direct devotees of the deity. It is difficult to understand that those who do not directly worship and pray to the deity were entertained in the case of Sabarimala. The selective redressal in the name of liberty and dignity supported by the state government has been taken without taking the stakeholders in confidence. Lakhs of devotees of Lord Ayyappa which includes children and women have been protesting on streets since the past two months against the implementation of the SC judgement. In Hindu faith, Temple is the abode of the deity and not a public place. Deity’s abode has to be visited as per his wishes just as we expect someone visiting us to follow the norms set in our home. In Hindu law, deities are ‘juristic entity ‘and hence have all rights of protection of life and personal liberty as given in Article 21. The arguments in the court unfortunately were deliberated and related to the biological clock of women. An agenda was pursued portraying the restriction on entry of women between 10 and 50 years related with their fertility while the status of the deity as a ‘celibate’ was ignored. This is the only shrine of Lord Ayyappa where he sits in his ‘Brahmacharya’ and hence wants the mode of worship with the constraint of not coming in contact with women of the said age. The submission of the CPI(M) lead LDF government of Kerala in the SC, on Sabarimala case was without any dialogue or consensus building exercise with the locals and was pivotal in shaping the majority judgement. In spite of the sentiments running high in the state post SC judgement, the state government was eager to implement the judgement and allow women of all ages to go to Sabarimala. Thousands of protesting devotees have been arrested by the state government without any provocation and atrocities done in gross violation of human rights. The Kerala High court also reprimanded the state government on their action and told them not to play to the gallery. Sabarimala shrine which is annually visited by five crore devotees has faced many assaults, some to crush the spirit of devotees and other to desecrate the physical form of the deity. In the year 1950, major part of the temple premises was found burnt when the priests went to open the shrine. The idol of Lord Ayyappa was badly damaged with cut marks on the face, head and left-hand palm separated from the idol. An inquiry committee headed by Kesava Menon submitted in its report that there was no theft from the temple premises and the motive of the crime was religious, Christians responsible for the offence. No one has been arrested till date for vandalising the temple in 1950. The synergy between Ayyappa and his devotees make the temple stand tall in spite of many confrontations and assaults. A judgement which brought tears in the eyes of the police officers who find themselves torn between their constitutional duty and faith, which has left the temple ‘hundis’ meant for donations filled with paper strips with Ayyappa written on them, which compelled the Tantri (priest) to give the temple keys to the state as he refused to participate in dishonouring the traditions of the temple, which forced lakhs of devotees to bring a state to standstill in order to protect the rights of their deity; need to reflect upon its veracity. When the review petitions on the Sabarimala judgement will be heard on the January 22, legal arguments will weigh over the endurance and prayers of the devotees. One can only hope that the judiciary will refrain from expecting secular arguments while defending a matter of faith.